Model LH836 Automatic Back Grind Tape & Photo Resist Film Laminator from Longhill Industries, Ltd., utilizing the unique and proven Longhill vacuum laminating process, no troublesome rollers to clean and adjust, the tape or film and wafer are brought together inside a vacuum chamber. Vacuum laminating is especially adapted to bumped wafers. During the vacuum laminating process there is a reduced atmosphere captured between the wafer surface and the tape, this effect causes the tape to more readily conform evenly over the bumps, especially around the wafer edge. 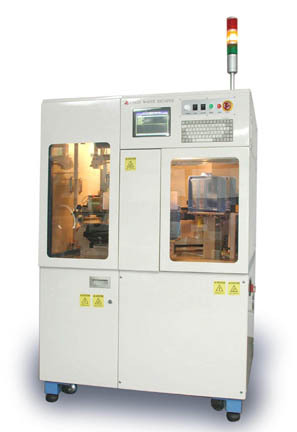 Programmable uniform tape tension minimizes wafer warp caused by uneven tape tension. Programmable cutter excises the wafer from the tape leaving no strings, burrs or leftover tape protrusions. Double side laminating in one pass is added optional feature. Model LH838 Back Grind Tape De-Taper from Longhill Industries, Ltd., remover tape is applied onto the back grinding tape by a floating roller to minimize wafer stress. The uniquely designed peeling mechanism can accommodate very thin wafers. 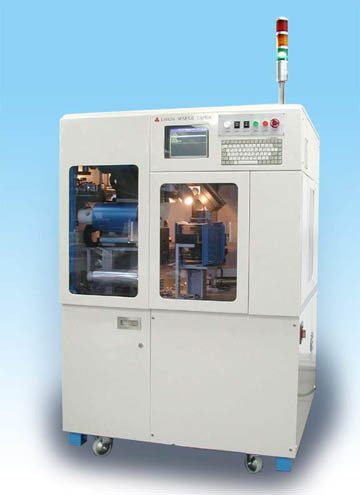 Wafer input by cassette or coin stack wafer box. Non contact wafer centering with flat or notch finder.